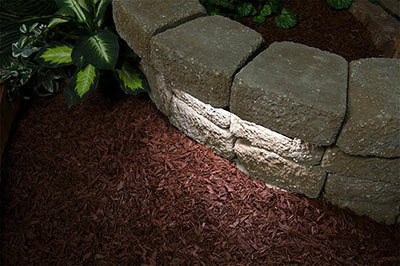 Super Bright LEDs, an online retailer for LED lights, released its new line of LED hardscape lights. The 7-, 12-, and 18-inch LED landscape lights have attached mounting plates and can be used for outdoor applications, such as patio lighting, outdoor step lighting, deck lighting, retaining wall lighting, stone wall lighting, pathway lighting and under-rail lighting. The retaining wall lights emit up to 85 lumens of cool white, natural white or warm white illumination. Each LED light is weatherproof with a powder-coated black steel mounting plate that has holes for installation on decks or stone walls and mounting clips on the plate. Using the included plug-and-play connectors, up to 20 lights (7-inch), 14 lights (12-inch), or 7 lights (18-inch) can be joined in a series. The 12-volt AC/DC lights can be used in a G-LUX wiring system or in an existing low-voltage landscape wiring system with Super Bright LEDs’ G-LUX pigtail power cable.